We had 8 trees taken down and chipped along with several large piles of brush chipped. Adam was very easy to work with, very informative and extremely professional through the entire process. They cleaned up the yard very well-you would have never known trees were taken down if it wasn’t for the stumps! I highly recommend them to anyone looking for tree work. Great experience overall and will absolutely use again in the future! I wish I was able to give more than five stars!! Adam and his crew at ATS got me out of a real jam as I was needing a tree to be removed before I had a shed installed which was already ordered and on the way. After having other tree service companies either never return my calls, or break promises and stop communicating with me altogether after we had already agreed upon an estimate, I was blessed to have Adam’s card given to me by the man who sold me my shed. I’m so thankful he did. Adam was sympathetic to my time sensitive situation and within less than a week’s time from our first phone call the tree in question as well as some other trouble makers were taken care of. I was astonished at how easy they made it look to remove such a large tree which loomed over my house, deck, as well as my neighbors fence without even the slightest damage to my property. These guys are impressive to watch work.They were very organized and efficient. Adam had his crew prepared for the job from start to finish and didn’t skip a beat even when I asked if they could deal with another tree that wasn’t part of the work originally negotiated. Look, if you need the type of services that ATS provides, do yourself a favor, just make one call, call Adam at ATS. You won’t be disappointed. I had two large trees removed from my lawn and ATS did an excellent job in cutting them down. The debris was cleaned up and they stacked some of the wood that I got rid of later. One of the trees was very near my power lines, and I was nervous that my service would be interrupted but Adam had it all under control. ATS does excellent work. ATS removed 2 large trees from our backyard last weekend. Because of the size and shape of our property a crane was required. Never have we hired a contractor that used equipment of this magnitude. They arrived exactly on time. After setting up the crane, rigging, and chipper, they then proceeded to safely and proficiently remove the 2 trees. Watching them work you knew immediately you hired experienced professionals. Upon completion our property was completely free of dust and debris. You would never know there was crane in our driveway. We would recommend Adam and his company to anyone; including friends and family. In addition, they are polite and respectful. As senior citizens we know good people when we see them. We hired ATS this fall for a pretty large job. Everything about the experience was top notch! A total of 5 large trees had to come down and another 13 for trimming. Adam and his partner discussed the details of every tree they would touch. They are very knowledgable. I couldn’t be happier with the results. The job went very smoothly and neatly. We will see you again, I’m sure. Keep up the great work! Adam and his crews did a wonderful job pruning our trees in the back yard. They job was done in a very professional manner. They cleaned up the area after completing the job. We couldn’t be happier with the results. The price quoted was reasonable and keep up the great work, Adrian! We just had tree work done by this company. Not only did they do all the work promised, they did extras. We had two large piles of brush and tree limbs by our wood pile. They cleared all of that out for us! Their price was excellent and they left the yard really clean! If you need tree work, I would highly recommend this company!! Can’t say enough about these guys. They far exceeded my expectations. They were professional, efficient, knowledgeable, clean, and genuinely nice people. It’s so nice to see such a high level of care and customer service in a company. I would recommend them to anyone in a heartbeat. 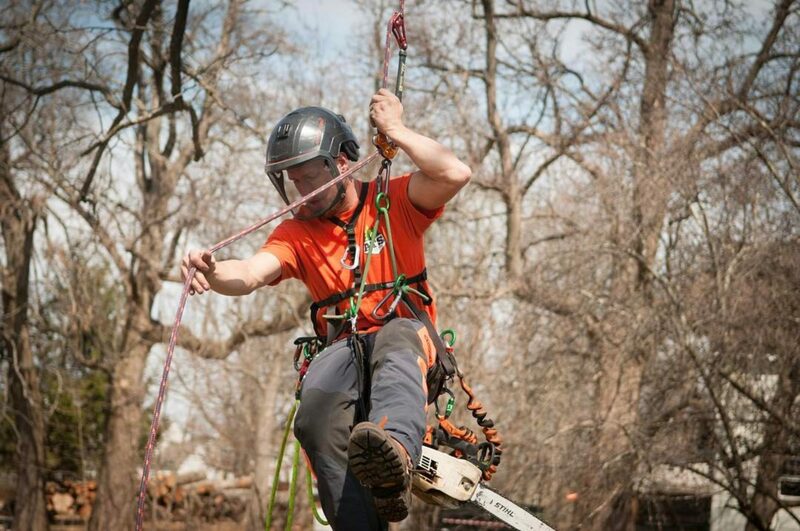 If you’re looking for tree services, look no further because you won’t find any better! We hired Adam to do some tree work last year. We were thrilled with the job all the way around. What a super nice human being too! Thanks Adam and crew! ATS removed an extremely large tree in front of my house that was damaged by the heavy snow this winter. They also trimmed a few trees (unscheduled) in the same visit. We received friendly, courteous service. Then came back with a stump grinder a few weeks later. Job well done! Prices are extremely reasonable! You will be recommended to friends! Adam and company trimmed a very difficult tree for me. The tree was hanging over a busy road way. Even though the tree was difficult Adam handled it with ease and professionalism and the price was more than reasonable. The guys at ATS tree services are awesome! Price was great! Cleaned up after themselves! Very knowledgeable, and genuinely nice people! Would recommend them for any tree service needs. Thanks again!!! ATS Did excellent work. They delivered as promised showing up when promised and completely cleaned up the area. The one tree hung over my neighbors fence. ATS removed the tree without any impact to my neighbor. I had two trees removed and the price was more than fair. Thank you for the excellent job! Good price, easy to deal with and very professional.